When considering a staircase renovation, it can be difficult to make a decision thanks to the endless options available. However, if you want to make a statement in your home, glass staircases are a sure way to impress. Versatile, modern and striking, a glass staircase creates a timeless focal point to any home. Yet, many people are hesitant about the practicalities of caring for a staircase. Are they durable enough to last? How easy are they to clean? Are you likely to end up like Bambi on ice every time the treads are cleaned? You’ll be pleased to know that when it comes down to it, caring for a glass staircase is pretty transparent. Glass is often associated with being fragile, which is understandable. However, a glass staircase is often just as durable as a traditional wooden staircase. 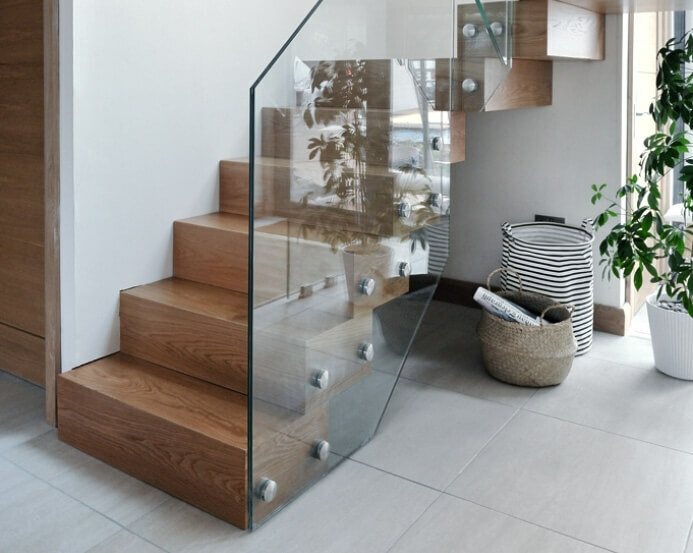 Considering all of the building regulations surrounding staircases, it goes without saying that the types of glass used to construct staircases are extremely thick and highly durable. 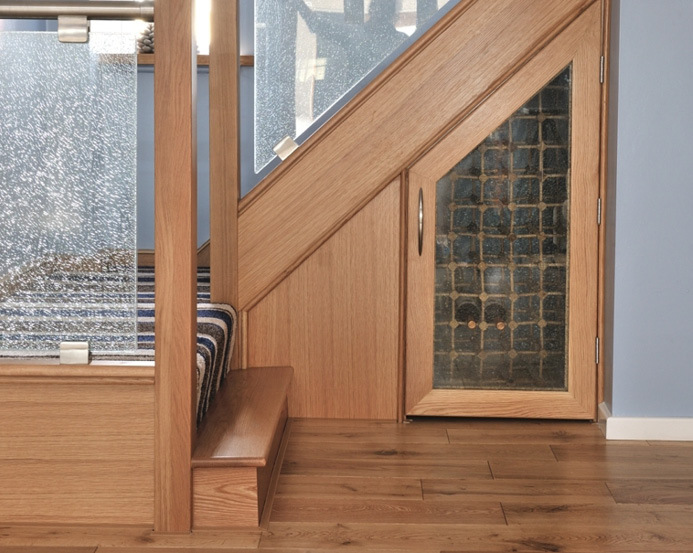 Our glass staircases are made with toughened glass. It’s a legal requirement for glass to meet a minimum standard when used for staircases and our glass staircases exceed this standard. This will not only ensure maximum safety but also prevent you from having to invest in replacement features. In fact, we even offer a ten-year guarantee on all of our staircases for your maximum peace of mind! You want to preserve the stunning aesthetic of your new glass staircase; we get it. However, it can be easy to go overboard when it comes to glass maintenance. Our advice? Keep it simple! Nobody wants to spend hours of the week cleaning a staircase. All you really need is a clean cotton cloth and some good quality glass cleaner. There are certain things you should avoid, though. Don’t use any paper-based materials when wiping the glass and take off any jewellery like rings or bracelets that might scratch the surface. Additionally, it might be interesting to learn that glass staircases are less susceptible to dust than traditional wood, which is welcome news to most people. Just remember that the surface will be a little slippery after cleaning so be careful. The chances are that your staircase will consist of other materials as well as glass. It’s important that you use the right cleaning solution for each element. For example, if your glass staircase has wood or metal handrails, a damp cloth with some mild soap solution is all you need to get it back to its former glory. With elements such as wood, it is often best to stay away from harsh chemicals and abrasives that can do more harm than good. If you’re considering a glass staircase, get in touch with us today.